Having a pet is like having a family. You don’t just adopt the animal, you also take up the responsibility to love and care for it. Take a look at our many bobbleheads with your adorable pets. You can order from anywhere in the world and we will deliver your sculptures in 6 to 36 days. Get a cute replica of your pet with the exact features and facial expression! 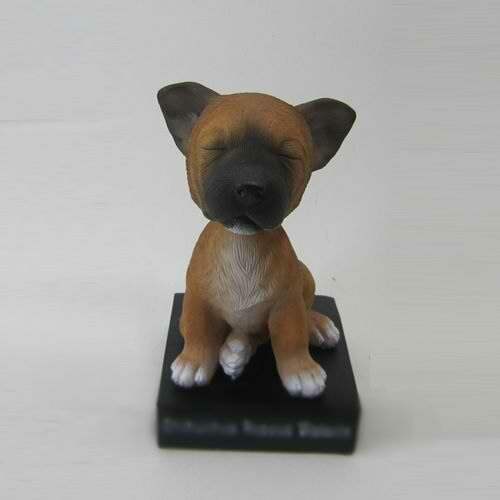 We help you create unbreakable bonds and with this charming bobblehead, you’ll never be to far from your lovable pet. 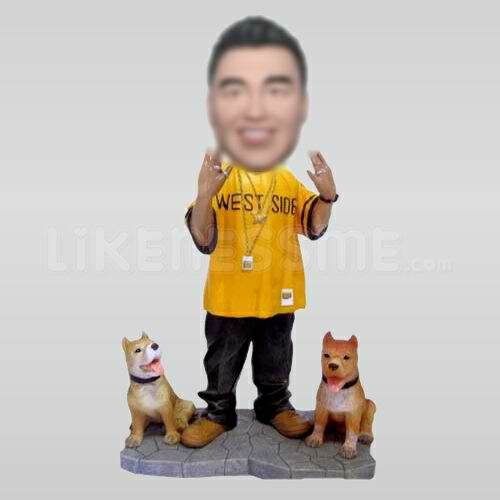 For more details go to https://www.likenessme.com/professional-custom-pet-dog-bobbleheads-3114674.html and see the sample for yourself. Who isn’t a hockey lover? People all around the world cherish a decent amusement. Ice hockey or road hockey is a game that can be appreciated in any season. 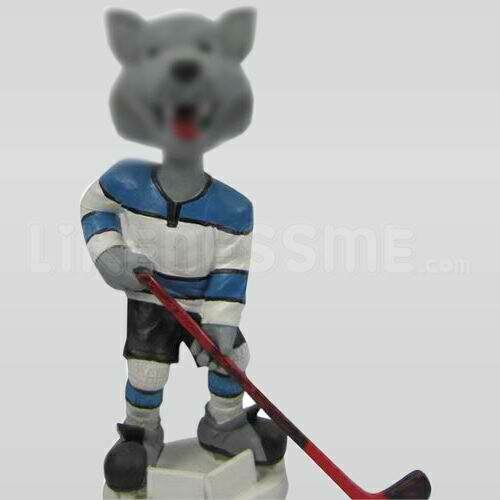 So bring that love for hockey home by making a bobblehead hockey figurine for your family members right away! Visit https://www.likenessme.com/custom-hockey-players-bobble-3113132.html for more details. For all the cat lovers out there, here is your new lifestyle mantra! 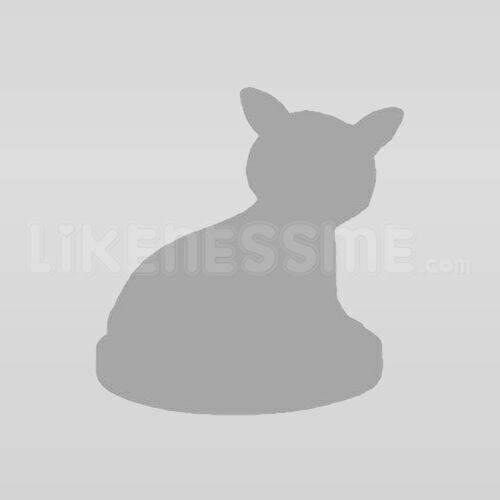 Make a capricious bobblehead doll of your favourite cat. Or on the other hand, get 9 more to remember all their nine lives! If have more than one cat, we can make multiple cat bobbleheads that look just like yours in just one sculpture. You can customize your own special bobblehead doll from scratch! Be it for any individual, pet and any event. Just make sure you depict in detail what you require, or submit a photograph of the individual and setting you’d get a kick out of by the chance to immortalize.This will guarantee our crafters to be as detailed and specific as you want. No matter what, your pets are an inseparable part of your family. Let us help you create significant memories with you, your spouse as well as your adorable pet. Just send us your requirements and photo by email and we will start working on this one of a kind bobblehead figurine keepsake. 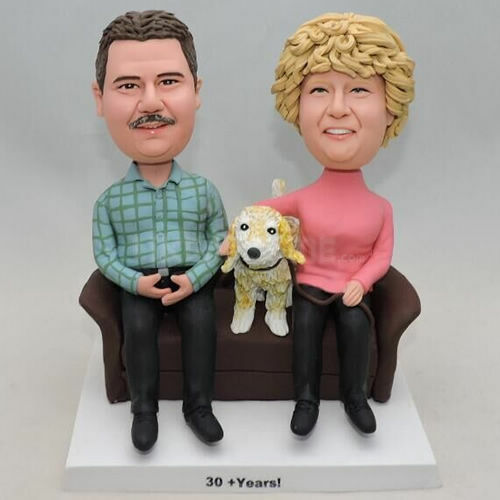 You can see the default model on https://www.likenessme.com/couple-bobbleheads-with-lovely-dog-pet-in-middle-3119278.htmland place your order there. All our sculptures are handmade and will be sent to you in 6 to 36 days. For some people, fishing is more than a hobby. It is a lifestyle, or a passion. It can be a device of survival, where you eat what you get. In any case, it is a respected convention, adored by ages of people around the world! 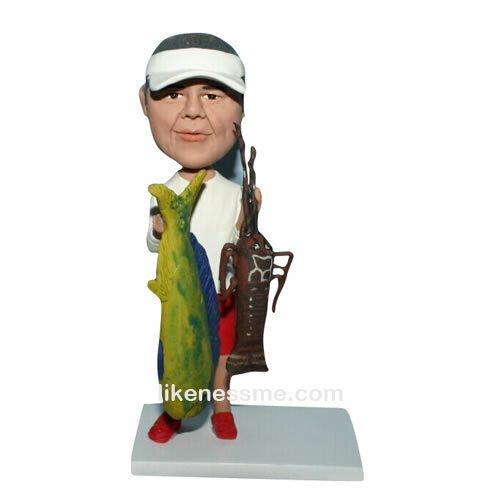 Locate the ideal present for your most loved fisherman in this hand-made bobblehead doll. 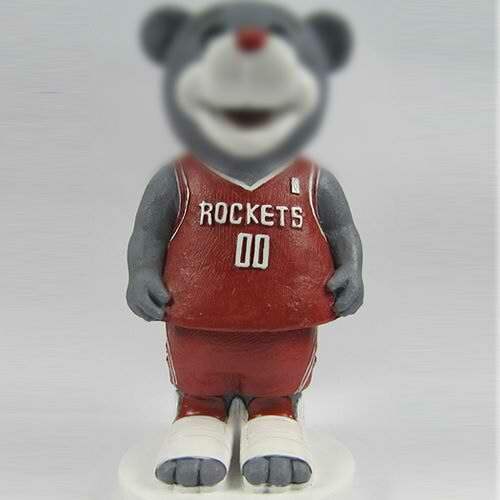 Join your two great loves in one bobblehead and give your pet a complete makeover in your favourite basketball clothes. Just send us a picture of your pet and the clothes you want it in, and voila! Our customised sculpture of your choice will be its way. Get customized bobbleheads simply the way you like it and ideal for you. These can be utilized as a beautiful bit of workmanship on your mantelpiece, or simply put them on your auto dashboard, that will influence its make a beeline for bobble away to eminence, serving you with precisely what you needed with it. Get customized bobbleheads to enhance your table, auto or pretty much anyplace. Your bobblehead can even have props. Props for the bobbleheads include presents, hats, Christmas trees and so much more. Just ask us what you need, and we’ll work towards giving you the best possible option! And in case you decide to make your pet wear cute outfits, worry not. We will incorporate that into our unique sculptures as well, since all our bobblehead dolls are completely handmade, and can be customised as per your wishes. The all the more fascinating thing is that now you can do it the way you like, implies that you would yourself be able to plan or make your own bobblehead. Well you can know better that how you will look the most entertaining so rely upon others, how about we do it without anyone else’s help. The main component in the subject is your creative energy. Give your considerations a chance to ride free with the goal that you would yourself be able to work out the most ideal bobblehead. So what are you waiting for? Get a pen and paper and cut out your fantasy bobblehead with your own hands and let your imagination run wild! This entry was posted in Custom bobbleheads on May 15, 2018 by admin.